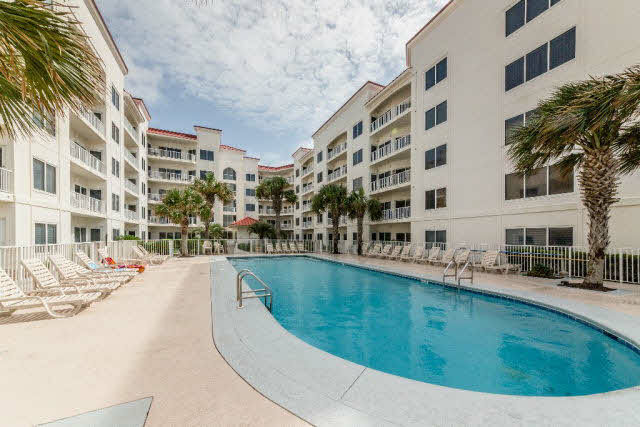 Orange Beach AL beachfront condo for sale at Palm Beach This 3BR/2BA unit has never been on a rental program. Original owner. True Beach Front Living in this Large Ground Level Unit. Walk straight out your balcony to the Beach or Pool, no elevators, no stairs, and no lugging beach toys through the building. Getting in and out of your condo is a breeze. Your SPLIT FLOOR PLAN, with a large master suite complete with double sink vanity, jacuzzi tub, and separate shower will make relaxing in your condo feel like a day at the Spa. New Coastal Air Conditioning System put in June 2018. Complex Provides fitness center, two outdoor pools-heated, and a BBQ area. Centrally located between Orange Beach and Gulf Shores at an entrance to the Gulf State Park Bike Trail. These Ground floor units are rarely available for purchase, don’t miss this rare opportunity.